Times are changing fast and furiously. Smart phones, iPads, iPods, and tablet devices are seemingly glued to everyone’s hands. If you haven’t already, it’s time to make the most of the latest technology this summer – or at least understand what your kids are doing with it! This week’s DISCOVER post uncovers the best of Apple’s mobile apps for kids of all ages, as well as for educators, professionals, parents, and writers. While an app like Angry Birds is just plain addictive, consider these engaging mobile applications that offer hours upon hours of educational value. They are worth checking out! 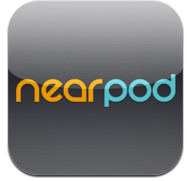 Nearpod Nearpod – for K-12 educators – is great for both teachers and students. This app allows teachers to construct interactive displays, with features such as quizzes, videos, polls, drawing tools, and more. It allows students to receive curricular content, participate in activities, and submit responses. Nearpod also allows teachers to share, engage, and assess a student’s performance in real-time. Teachers can also access featured presentations from certified publishers and fellow educators. Socrative Socrative is essentially a smart student clicker. This response system empowers teachers by engaging their classrooms with a series of educational exercises and games. This web-based, student-response system enables teachers to assess students’ progress, performance, and comprehension in real-time, via multiple-choice, short-answer, and true-false questions. Students enter answers on their own devices, allowing them the privacy to answer candidly, and results are tabulated immediately. TeacherKit TeacherKit is a tool that helps teachers organize their classes and manage students’ attendance, seating charts, grades, and behaviors. 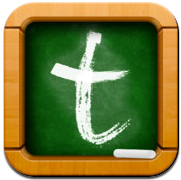 This app also allows teachers to send e-mails to students, parents, or everyone, enhancing communication. And, to better manage their data, teachers can import/export files and back-up data on DropBox through TeacherKit. Compatible with iPhone 3GS, iPhone 4, iPhone 4S, iPhone 5, iPod Touch (3rd, 4th & 5th generation), and iPad. 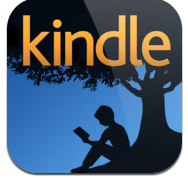 Kindle Kindle lets you easily bring along most any book or magazine for you and your kids to enjoy on the go. Regardless of what errands or activities you have planned, there will never be a boring moment when you have any number of books or magazines at your fingertips. 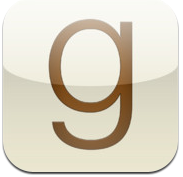 GoodreadsGoodreads lets you discover and share books you love. This app allows you to keep track of what you want to read, review the books you have read, and organize your reading history by adding books to your shelves. You can also find new and interesting books that others are reading by looking at others’ comments and ratings. This app offers a great way to connect with other readers. TaskRabbit The TaskRabbit app helps busy iPhone and iPod Touch users post tasks wherever and whenever they need a TaskRabbit’s help. Once a task is posted, any number of background-checked TaskRabbits can reply to any task such as delivering any item, conquering any errand, and even helping out with administrative and office tasks. This app offers a helping hand for your to-do list. 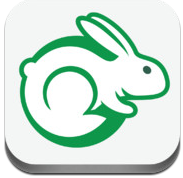 TaskRabbit is available for in-person tasks in San Francisco, Boston, Los Angeles, Orange County, New York, Chicago, Seattle, Portland, Austin, and San Antonio. Evernote Evernote allows the user to take notes, capture photos, create to-do lists, and even record voice reminders. This app provides a place where writers can keep notes and gather sources for their projects, all of which can be shared with others for feedback or inspiration! 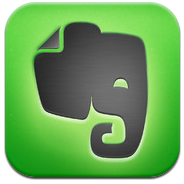 Evernote can be used across many devices. 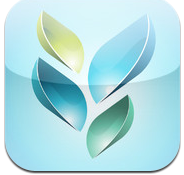 This app is a terrific way to stay organized, to store ideas, and to improve productivity. 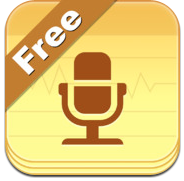 The Voice Recorder The Voice Recorder app allows you to quickly create a memo of a thought or remind yourself of a task before you forget. This app is easy to use and has a simple and intuitive interface. Additionally, there are many advanced features you can utilize such as volume boost, volume normalizing, editing of recordings and more. Your recordings can also be shared through email and they are stored on your device, but can also be backed up to your computer using a simple web browser. 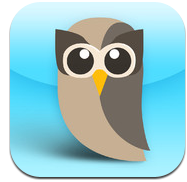 Hootsuite HootSuite is an amazing app that combines several social media sites. It is great for handling social media on-the-go. Just like the web version, the app allows you to publish to all of your social networks like Twitter, Facebook, and LinkedIn, from one interface. 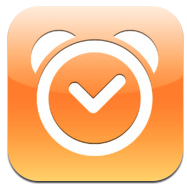 This app also allows you to schedule messages for optimum times, attach files and photos, and shrink links. For more advanced users, Hootsuite also lets you monitor customer feedback on social networks, track clients and keywords across different platforms, and more. MailChimp MailChimp helps you design newsletters, share them on social networks, integrate with services you already use, and track your results. 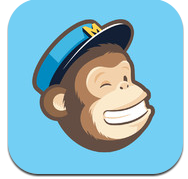 With the MailChimp mobile app, you can add new subscribers, manage your lists and view reports when ever and where-ever you are! 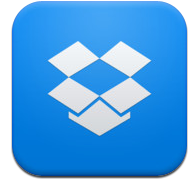 Dropbox Dropbox is basically an online folder that allows you to upload files, documents, photos and videos. The Dropbox app lets you access all your photos, docs, and videos anywhere and share them easily. You can access any file you save to your Dropbox from your computers, iPhone, iPad and even the Dropbox website. This app offers a way to easily access, share, and save files, documents and videos. 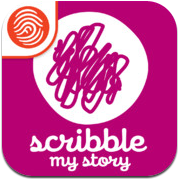 Scribble My Story Scribble My Story allows kids to remotely imagine, create, and share their handiwork with their parents. With this innovative app, kids are able to illustrate their own audio stories or they can even entirely generate a new book. Scribble My Story provides an outlet that fosters creativity, as well as early literacy skills. And it’s free! This app is based off of a popular PBS KIDS TV series, Martha Speaks. 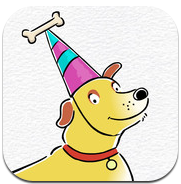 Martha Speaks Dog Party is designed to expand children’s vocabularies in a fun, interactive way. This educational app includes four games, all of which introduce new words and tests the user’s knowledge of his or her vocabulary. 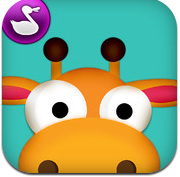 Peek-a-ZooPeek-a-Zoo app is a game that helps kids identify emotions and social cues, while it expands reading and vocabulary skills. Users are prompted to look at different groups of cartoon animal characters and distinguish the specific trait or behavior that each one exhibits. Additionally, the Peek-a-Zoo text and audio support functions assist in developing early reading and word choice skills. 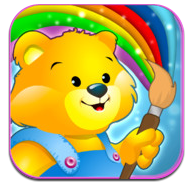 This exciting application includes eight different creative teddy bear games, such as: puzzles, mazes, memory, matching games, and coloring. These fun-filled games engage a child’s imagination and apply critical and spatial thinking skills. Teddy Bear Colors includes multiple stages and challenging levels that keep kids stimulated, entertained, and challenged, as they grow. 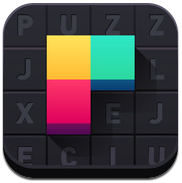 Scramble With Friends Scramble With Friends is a word puzzle game a lot like the board game called Boggle. Players must find words from a collection of 16 onscreen letters. To find the words, you slide your finger over adjacent letters in any direction – forward, backward, sideways – any way you can! This app allows you to play against random opponents, Facebook friends, Twitter followers, or people in your contacts list. 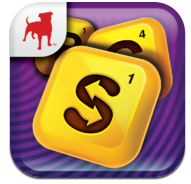 Scramble With Friends is a great way to improve verbal abilities and to get your gears turning in a fun and engaging way. Dittles Dittles allows students to connect and reach out to tutors in an enjoyable, simple, and efficient way! Students begin the process by uploading a picture of a problem or a question. After the problem or question is downloaded, tutors – or anyone, for that matter – can upload a short 2-minute video lesson for the student that discusses how to approach, but not solve, the problem. After a response lesson is uploaded and posted, students are notified. 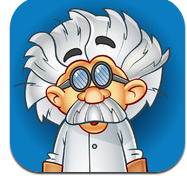 This app primarily benefits students who need help with their homework, studying, or practice exams. Puzzlejuice Puzzlejuice takes many elements from our favorite puzzle games and combines them into one game that is designed to challenge both spatial and verbal abilities. Similar to Tetris, a player arranges multicolored blocks that constantly fall from the top of the screen. Then, once the player completes a row with these blocks, the blocks turn into letters. These letters must be made into words, in order to clear out the blocks and to allow the blocks above fall! Matching colors turn colored blocks into letters, too. Evernote Evernote allows the user to take notes, capture photos, create to-do lists, and even record voice reminders. This app provides a place where students can keep notes and gather sources for their projects, all of which can be shared with their teachers and classmates. Evernote can be used across many devices. This app is a terrific way to stay organized, store ideas, and improve productivity. 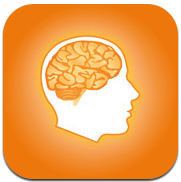 Lumosity Brain Trainer Lumosity Brain Trainer is a simple online tool that includes 10 brain games designed to improve concentration and enhance the brain’s potential. Users report improved memory, enhanced mood, better problem solving skills, and the ability to think more quickly. This app also allows a user to track personal progress and measure performance in a given cognitive function! Sleep Cycle Alarm Clock Sleep – or lack thereof – can be a problem when it’s time for that early-morning class or those late-night study sessions. This is the reason Sleep Cycle Alarm Clock monitors your sleep cycle and wakes you up during your lightest sleep phase – so you avoid feeling groggy in the morning and you wake up feeling more rested and relaxed. 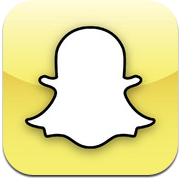 Snapchat Snapchat allows you to capture an image or a video and send it to either one friend or to a group of friends, who will then be able to view it for 1 to 10 seconds. After the allotted time is up, the picture or video disappears forever. However, if he or she is quick, the person receiving a Snapchat does have the ability to preserve the image by taking a screen shot of it before it vanishes. Snapchat is a great way to communicate with friends quickly and easily; however, although the content of a Snapchat image cannot be saved, there is still a chance that third parties will see it if a screen shot is taken. The moral of this story: always be conscious of the content you or your kids are sending to someone, because no matter what your intentions, electronic images are never truly private! Vine Vine is essentially an Instagram for videos. This app allows you to capture up to 6 seconds of video clips that a receiver can play back on a continuous loop. The upside: this app introduces a new and creative form of social media and allows users to share “life-in-motion,” rather than one-moment-at-a-time experiences. The downside: there are reports of both cyber bullying and the sharing of illicit and inappropriate material through Vine. 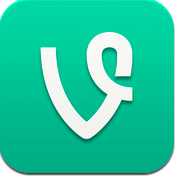 These issues prompted Vine founders to recommend that the app’s users be 17 years of age or older. 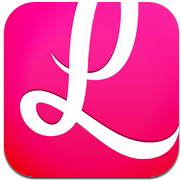 Lulu Lulu is an app available for older teens and adults that allows women to anonymously write, share, and/or read reviews about men that they date. After a woman answers a standard set of questions about her date, her answers are electronically converted to a score ranging from 1-10, which is then posted. While Lulu offers an interesting approach to dating by giving women the ability to rank men and share their insights, this app can also provide false or erroneous information about the men that are rated. Because each of these apps easily can be misused, it is critical for your kids and teens to be aware of the potential issues that can arise when using social media, as well as the consequences of abusing it. Make sure your kids are acting safely and appropriately, and that they are protecting themselves responsibly! We hope you found these apps as useful and educational as we did!